wbbif gives you a full insight in English about the success story of UFAB 49 here. Dans nos temps, un club dédié seulement à un sport féminin est très rare. 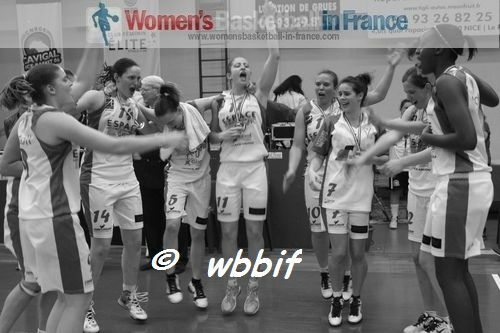 Et UFAB 49 est l'exemple d'une réussite dans le basket féminin. Le président Brito de Sousa est le coeur du club. Il nous fait comprendre sa motivation et sa passion pour ce sport collectif et nous accorde cet interview. De Sousa et le coach de l'équipe 1, David Girandière expliquent dans les deux reportages vidéo la façon dont le club a évolué d'un club purement amateur à un club avec un "centre de formation" pour les jeunes. Ils présentent leurs idéologies et montrent leur gratitude envers l'engagement des joueuses, des membres, des supporteurs du club et des partenaires. Ils remercient aussi la ville d'Angers pour leur soutien. Regardez "one-on-one with Brito de Sousa" et "David Girandière et le président". 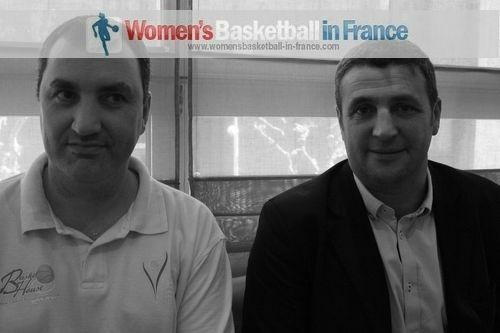 wbbif was given a pleasant surprise when meeting Brito de Sousa, the president of "Union Féminine Angers Basket 49" (UFAB 49) for a one-on-one session. Instead seven members from the organisation were to meet us. 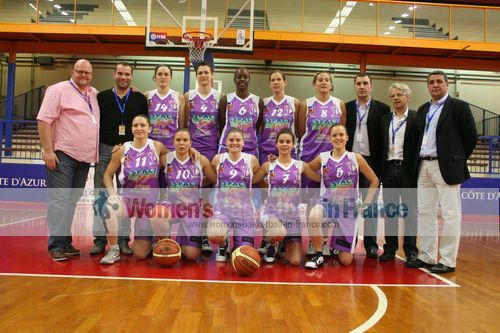 At the start of the 2004-2005 season an all women's club was formed by merging the women's section of Anjor Basket and Etoile Sportive Saint Léonard Angers Basket club. It was named UFEAB. 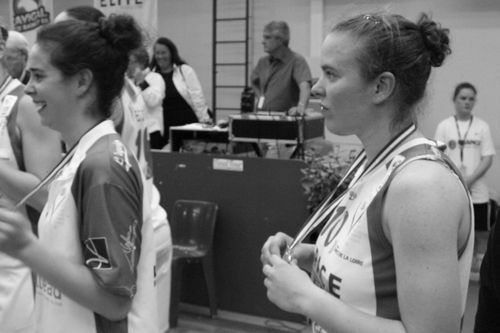 Within three years of existence the organisation went from regional champions to NF3 (then division four). Consequently the structure changed to move towards high performance and semi-professionalism and also implied a change in the nature of the club and funding. The status changed from pure amateur to a women's club with a youth academy to foster development and training of players and coaches. The club became UFAB 49 in 2007. 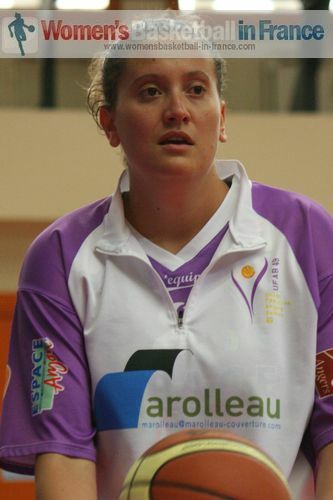 The season afterwards, at senior level Angers won promotion from NF3 to NF2. In 2010 they moved from NF2 to LF2. They did not survive the first season in LF2 and were relegated in 2011. 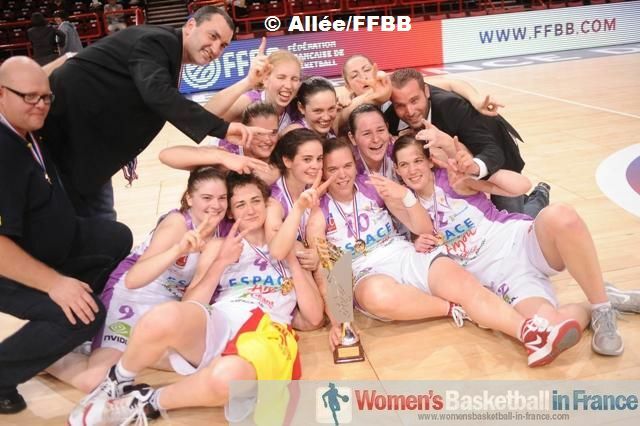 Despite the relegation the project continued and the club was promoted again in 2012 and are now the LF2 Champions and have qualified to play in the LFB for the 2013-14 season provided they meet the financial requirements. 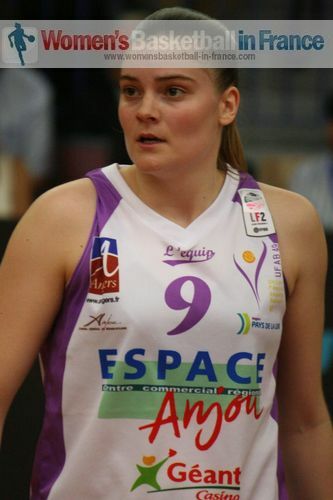 The senior team also won two "Trophée Coupe de France" (2010 and 2012). 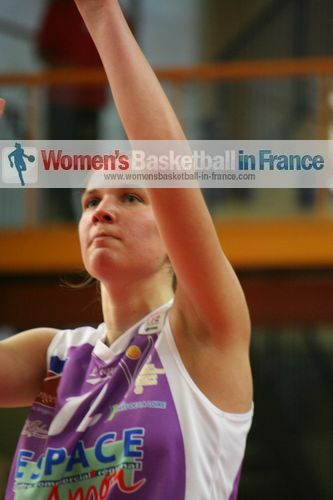 The UFAB 49 basketball academy has also been rewarded: At the national level the U17 team went to Paris Bercy for the 2013 French Cup Final and are currently challenging a place for the National Final Four. Brito de Sousa is one of the three founding fathers of UFAB 49. He is the president of the organisation and also the spokesman of the club. In the interview which is conducted in French he explains the history of the club. His reason for its creation was to develop female players to the highest level possible in the best conditions. He also talks about the role of each of the founding members and the tasks of non-coaching staff in the day-to-day running of the organisation. De Sousa is dedicated to the sport of women's basketball but keeps strictly to the club's charter ensuring respect, trust and financial stability. 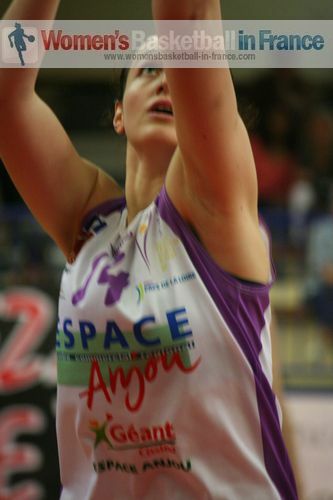 Mélodie De Sousa was a member of the U12 team and Aurélie Besson, whose dagger three-pointer down the stretch against Cavigal Nice in the LF2 Final more or less ended their opponent's hope of a victory. 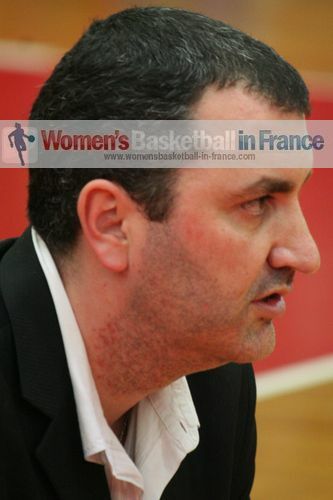 David Girandiére has run the women's team for the last four years full time and has seen his team win two finals at Paris Bercy, win promotion twice to the LF2 and suffer relegation once. He is also the first coach to pick up a wbbif accolade for LF2 coach of the year. 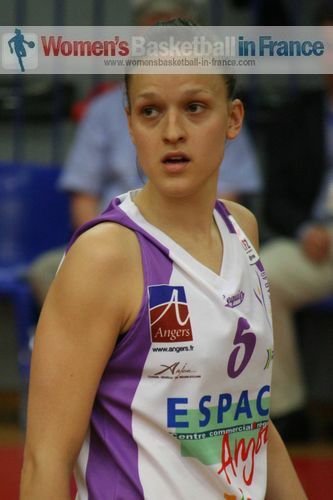 Girandière loves the way women play basketball which matches his own coaching philosophy of the collective nature of play. The individualistic aspects he saw while coaching the professional men's section in Pro B and NM1 did not inspire him. He talks happily about the first team's second home, Paris Bercy. He remembers the difficulty in winning the French Cup in 2010 with an overtime victory against AS Villeurbanne, while in 2012 the French Cup victory was the icing on the cake after a successful season. In the last part of the interview Brito de Sousa convinces wbbif of UFAB 49 as a perfect club for basketball education. He also praises Angers as a town great to live in, work and study and thanks the town of backing their organisation as it is the only women's sports club in the elite.